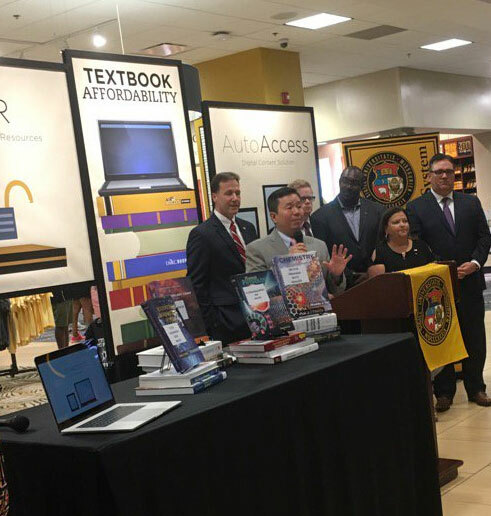 University of Missouri System President Mun Choi and Chancellors Leo Morton, Tom George, Garnett Stokes and Christopher Maples announced a plan that will save students significant amounts of money on textbooks and other course materials. This effort is designed to reduce the cost of attendance and enhance learning for students. The plan takes advantage of Open Educational Resources (OER), or class materials that are free for students, and AutoAccess, which is a program that makes textbooks and class materials available online at a lower cost than traditional learning resources.